Every season of the year in Prague is full of great things to do and see. There’s always a lot going on and never a reason to be bored in the city of 1,000 spires. The autumn is no exception. 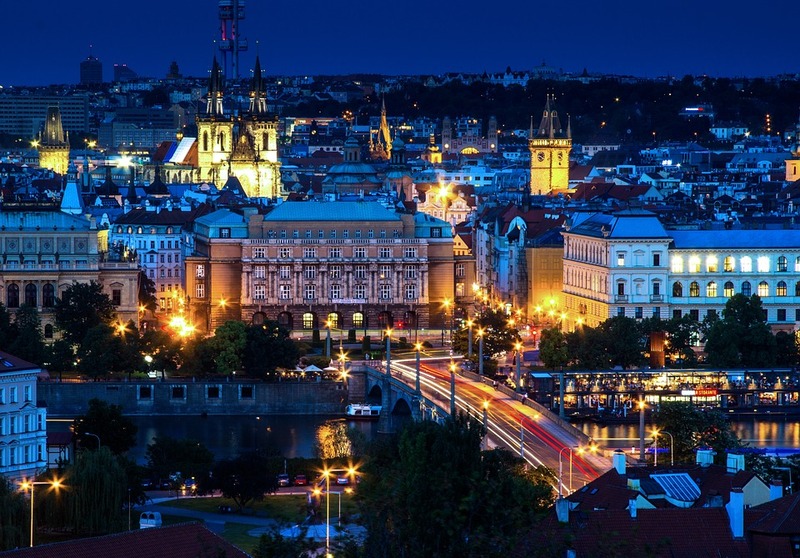 Whether you like music, theater, art, food, drink, dance, shopping, or whatever, you can always find an event in Prague that suits your tastes. This week, I’ve compiled a list of a small multitude of fall activities and happenings to keep you busy for the next couple of months. They’re all listed in chronological order of occurrence with the appropriate links embedded to to take you to more information about each. Have fun. 21 Sept. After The End, a play in English by Dennis Kelly, is a co-production of Alabaster Cat and Prague Shakespeare Company at the theater Divadlo Na Prádle, a drama about two people who thought they knew each other trapped in a fall-out shelter after the recent apocalypse. 22-23 Sept. Open-air Festival Skautská Alterntiva is a two-day music and culture festival organized by the Scouts of Prague 7 at the defunct railway station next to the Vltavska metro stop. Friday night is all about the music. Saturday afternoon presents a variety of interesting workshops and family activities with more live bands in the evening including the iconic Czech band Plastic People of the Universe. 23 Sept. Food Truck Show will take place on the river bank outdoors at Smichovská Náplavka. It’s an annual gathering of food trucks from all over Europe, a meeting of specially modified trucks, vans, trailers, and bikes serving a huge variety of different cuisines. 23-24 Sept. Dyzajn Market Autumn in the courtyard of the National Theater is an open-air market of local independent designers and artisans with live entertainment and food & drink available. 24 Sept. Sunday Soup Jam Session & Feast is a weekly event which is an afternoon and evening of open-mic music in one of Prague 3′s chillest hangouts. Bring along your instrument or come just to listen, entry is only 50 kc and includes a bowl of homemade soup. 30 Sept. Chilli Fest Praha is the spiciest event of the fall where you can try all kinds of chilli-based foods, buy sauces, spices and herbs at the festival market, attend a workshop on cultivating chilli peppers, and participate in the pepper-eating contest. 30 Sept. Justin Lavash live in concert at Amaze-In Tchaiovna, a trippy-hippy tea house and specialty beer bar. Justin Lavash is one of the best finger-picking song stylists you’ll ever get a chance to see. Highly recommend. Free entry with voluntary contribution. 30 Sept. Vinobraní Na Statku is a traditional celebration of the grape harvest at a winery not far from Prague where you can taste many different wines and be entertained by a full days family program including the arrival of the wine king and companions, with live music lasting well on into the evening. 30 Sept. Venezuelan Weekend at Art&Food Zoona is a chance to taste the Venezuelan specialty, the arepa, kind of like a flat hockey-puck of a corn tortilla stuffed with meat and cheese and avocados and veggies and all kinds of good stuff. It’s right next door to both the Prague Zoo and the Botanical Gardens so check them all out while you’re in the neighborhood. 4 Oct. Pasta Oner | Art Is Truth exhibition opening at DSC Gallery, presents the latest work by Prague artist Pasta Oner, who started on the graffiti and street-art scene and has since become an established figure of the Czech art world. Exhibit runs til 9 Nov.
6-8 Oct. Centralá Free Fest Vol. 2 Psytrance Stage is a weekend of “unbridled festivities” with the country’s best DJs, decorations, light show, and massive sound, all for free, including the karma. 8 Oct. Street Happening of Karlín is an outdoor autumn music festival geared towards both musicians and listeners alike, with the opportunity to participate in a number of afternoon music workshops, and to enjoy concerts by gypsy-dance-klezmer band Circus Brothers, glamorous cross-over funk by Megaphone, and the alternative Skafanr. 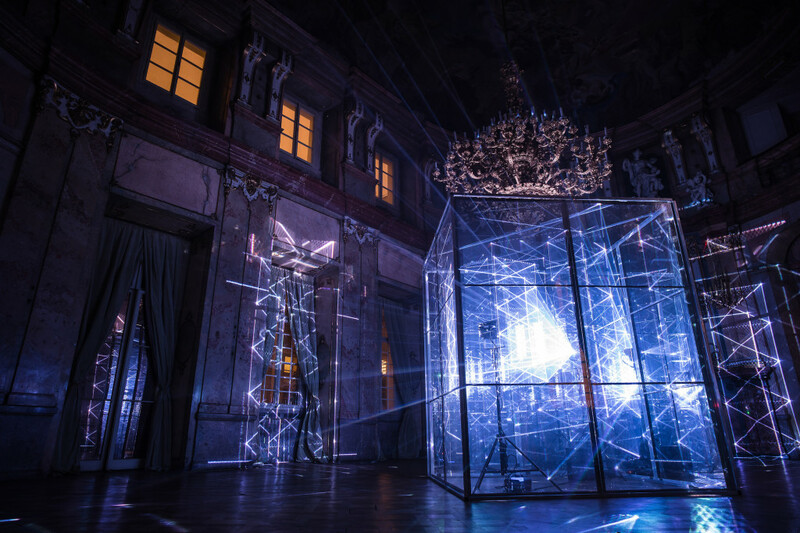 12-15 Oct. SIGNAL Festival Of Lights is an annual city-wide event combining art, city-space, and modern technology which turns the streets and squares and magical buildings of Prague into a never-land of the light fantastic. 15 Oct. IDIOM 2017_imagination/interpretation at Cross Club is the second volume of the IDIOM Festival which focuses on the idiomatic features of dance and movement with residency programs of two Polish choreographers, Malgorzata Haduch and Irena Lipinska. 18 Oct. Margaret Atwood, award-winning Canadian author and environmental activist, speaks at the Vaclav Havel Library. Her past novels include “The Handmaid’s Tale”, “Cat’s Eye”, and “The Blind Assassin” among many others. 21-28 Oct. Lovecraft! The Musical, a comedy-horror-musical adaptation of the works of the creepy writer H.P. Lovecraft presented by Prague theater company Blood, Love & Rhetoric. 28 Oct. Dead Souls Halloween / Goth Party with DJ Pavel Ice features the reunion of Joy Division tribute band Prague Dead Souls, with after-concert music provided by Pavel “Ice” Cajthaml of the Crypt. 31 Oct. Halloween Party | Blaq Mummy [monstercore] & Sweet Positive [dark&roll] live to mark the passing of Samhain the way it should be marked, darkly and loudly.